Should a person hire a lawyer if he or she is only being investigated for a criminal offense and there are not charges? Once a person learns that the police or other law enforcement agency are investigating a crime possibly involving him or her, it is critical to get an experienced criminal defense lawyer involved as early as possible for pre-charge legal representation for a felony or misdemeanor. A criminal defense attorney can often intervene with law enforcement. The early intervention by a good criminal lawyer may prevent an arrest and criminal charges. In cases where an arrest is imminent, an attorney can arrange for their client to surrender without an arrest or may be able to convince law enforcement to pursue less serious charges. Additionally, defendants represented by retained counsel at arraignment are usually granted a lower bond. Hiring a proficient attorney in a timely fashion will protect you from being questioned by the police. In almost all cases where suspects are not represented, the police question them and are able to obtain evidence useful to the prosecutor. You’ve heard it on television, “whatever you say can and will be used against you.” Notice the warning does not say “may be used against you.” A good lawyer will know how to protect their client from a police interrogation designed to elicit evidence. More often than you think, innocent people are wrongfully accused of committing crimes. We see on the news regularly that an individual is released from prison after some extended period of time, after having been wrongfully convicted. Similarly, people who may be guilty of some offense are charged or accused of committing offenses that do not fit their conduct. This is often referred to as overcharging. A prime reason people are overcharged is that alleged victims either exaggerate stories or a complainant can make up a story to gain an advantage in litigation (like divorce or a suit for money). In the United States, you have the constitutional right to counsel. Police and prosecutors do not want suspects to be represented by counsel. In fact, law enforcement will often tell a suspect that it is not in their best interest to hire a lawyer or act friendly so that a person does not think a lawyer is needed. These are classic tactics to take advantage of an unrepresented suspect. Suspects who are represented by lawyers are less likely to be charged, less likely to provide incriminating evidence, and much less likely to be convicted. Will I look guilty if I hire a lawyer? Many people ask, “If I hire a lawyer, wont I look guilty?” The simple answer is, “no, you will look smart.” Prosecutors do not charge people with criminal offenses because they look good or look bad, prosecutor’s charge people when they think they can get convictions. People with lawyers are harder to convict and thus less likely to be charged. People with lawyers are less likely to inadvertently or innocently provide incriminating evidence thus reducing the chances of a charge in a questionable case. People who hire very experienced and successful criminal defense attorneys on a pre-charge basis are even more likely to avoid prosecution. 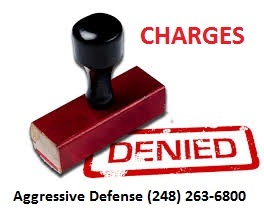 The bottom line is that if you are being accused of a crime like OWI, DUI, domestic violence, retail fraud, criminal sexual conduct, child abuse, or other misdemeanor or felony in state or federal court, you should hire an aggressive, smart and tenacious attorney immediately to protect you.